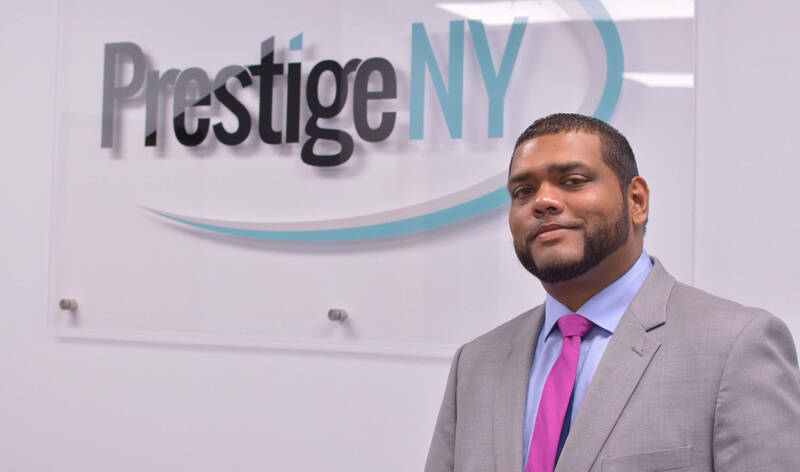 It’s always exciting when a member of Team Prestige NY achieves a major career milestone. We’re proud to put Bud, our newest assistant manager and very loyal veteran, in the spotlight for his recent promotion. Maheen, our firm’s head of HR, explained that Bud is the latest to benefit from our commitment to professional growth. We have plenty of amazing opportunities available as our firm continues to expand. Bud explained that marketing has intrigued him since he was in junior high school. He always knew it would be his major when he went to college, and he graduated with a bachelor’s degree in marketing and business administration. Bud then went to work for a mortgage company, but didn’t find room to grow with them. From there, Bud began a career with the New York City Department of Corrections. He was a decorated officer, becoming a captain and receiving numerous awards and accolades. However, Bud still hadn’t found the level of advancement and recognition he long sought in his career. Bud thanks his lucky stars that he found Prestige NY. He said his love for marketing has been rekindled since joining our team. Bud loves interacting with people on a personal level, both when dealing with customers and mentoring teammates. He sees the limitless growth potential we offer and is ready to make the most of it. Bud reported that he’ll be operating a vendor location of his own in the near future, and he’s excited to prepare others to do the same. We’re ready to watch Bud continue advancing in his career journey. Follow Prestige NY on Twitter for updates.